Our coach development structure ensures minimum operating standards for Tri NZ accredited coaches. This will makes sure that participants in the sport of triathlon are coached safely and in a manner that promotes athlete wellbeing. It is a requirement of Tri NZ club affiliation that only Tri NZ accredited coaches are able to coach, train or instruct athletes at that club. Prior to 2018, the development framework consisted of four levels, Tri NZ Coaching Level 0, 1, 2, and 3 that represented a coach’s progress along the development pathway. Coaches that have achieved these levels prior to the changes are still able to promote themselves at their level of achievement but are required to complete the annual coaching registration before doing so. How much does Coaching Accreditation cost? Coaches who have no previous accreditation are required to complete a Foundation Coaching Course at one off cost of $95.00 (excl GST) before they can register as a Tri NZ coach. The purpose of the Foundation Level Coaching Accreditation is to equip those individuals interested in coaching triathlon with the fundamental coaching knowledge to conduct training sessions in a safe and athlete-centric manner. The key learning objectives of this course are to provide the participants with an awareness of ethical and health & safety considerations and provide an introduction to athlete-centred coaching, leadership and session planning. The foundation coaching course is open to any New Zealand Resident that is involved with the sport of triathlon. Currently this course is offered as a distance learning package at a cost of $95 inc GST per candidate. The successful completion of this course will enable the candidate to satisfy the qualification requirement to register as an accredited coach with Tri NZ and enjoy the associated benefits. How long does the Foundation Course take? The Foundation Course material takes approximately 3-4 hours to complete. Can I register if I don't live in New Zealand? What are the further development opportunities beyond Foundation Level? We are currently working on development pathways for all Tri NZ registered coaches. 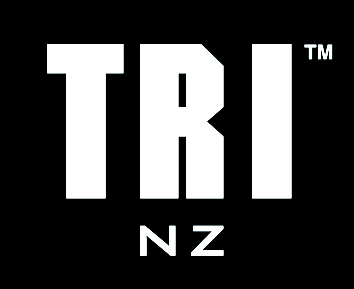 In the meantime make sure you are on the Tri NZ coach facebook page where we notify you of any upcoming development opportunities. Who manages Tri NZ Community Coaching? Tri NZ Community Coaching is currently managed by our Community Advisor Anna Russell. Please contact her at anna.russell@triathlon.kiwi.